Coal Creek Bridge, Wagner Co. These photos are of a small bridge over Coal Creek in southern Wagner County. It is a four panel Warren pony truss built in 1929. Note the depth of the truss below the deck. 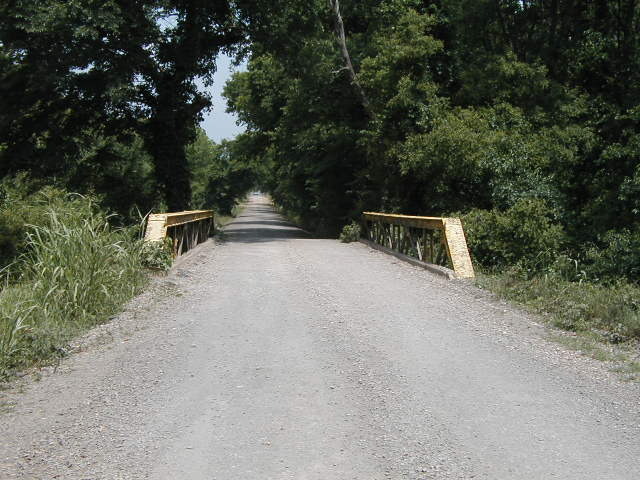 The deck on this bridge is located very near the centerline of the truss. 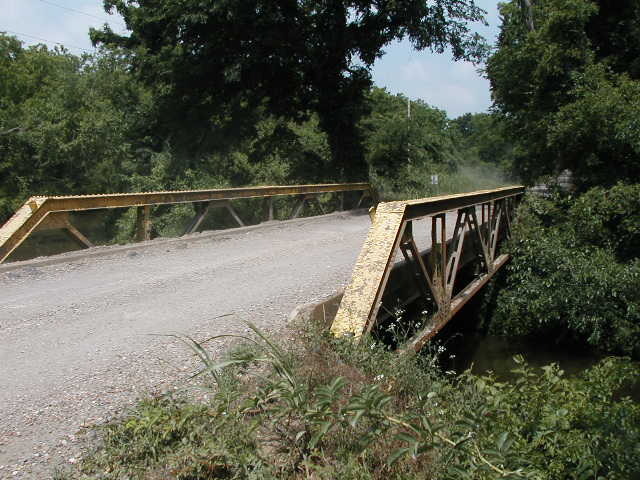 This bridge has a poured concrete deck and curb, and sits on stone foundations.